Don’t be so sensitive - That is what men are told all the time. While that command may work for feelings, it does not work for skin. Men cannot help having sensitive skin. To protect their face, they need a razor that is specially designed for sensitive skin. Our review today will cover the best shaving razor for sensitive skin. But we are going to have several categories. One for men, one for women and one for electric shavers. Life is about choices and we aim to give you those. We will also help guide you to the best razor for sensitive skin. #1. Gillette Mach3 Men's Sensitive Razor – For your sensitive skin, you need great protection. Gillette has created the Mach 3 to provide that protection. 3 blades for a close shave, extra lubricating gel and clinically proven to work for sensitive skin. You can trust Gillette to care about your face. #3. Gillette Venus Women's Sensitive razor – Women like the gentle touch and the Venus by Gillette delivers. 3 blades are placed inside a protective cushion to provide that gentle feeling. No slip grip, no changing the razor and lubricating strip contribute to a great shaving experience for sensitive skin women. #4. Schick Hydro Silk Sensitive Skin Razor – Women won’t feel cheated by what Schick gave them in a razor. The contents are almost the same as the men’s 5 blade version. They have included hypo-allergenic lubricant, ergonomically designed, dermatologist tested. #5. Electric Razor for Men By JTrim 3DFLEX – This best men's electric razor for sensitive skin is made by JTrim and contains 3 floating heads for a close, comfortable shave. The floating action helps meet the contours of your face. It is cordless which means you do not have to fight the cord to get a comfortable shaving position. Designed for men with sensitive skin. Gillette has been shaving faces for decades now. It is logical that they would develop a razor for sensitive skin. The Mach 3 blades are coated with a finish that makes them diamond-like. You need fewer strokes to achieve a great, close shave. This is good news as the fewer the stokes the less chance of irritation. The Mach 3 is designed specifically for sensitive skin. The protective microfins help protect your face and the progressive positioning of the blades are wide enough for easy cleaning. The wide placement means less pulling on your skin. Placed on a pivoting head, the Mach 3 easily cuts your stubble. No matter how many curves your face may have. The lubrication contains the soothing touch of aloe. This ensures that the blades will slide over your face easily without damaging your skin. Its lightweight makes manipulating this razor around your face simple and easy. Shaving is hard enough without having to wrestle with the razor. The Mach 3 is here to give those with sensitive skin a good shaving experience. Schick offers sensitive skin men with a 5-blade option. Schick sent the razor to dermatologists to see if it really protected sensitive skin. The answer was yes. Schick’s innovative gel reservoir provides up to 40% less friction than other lubricating strips. This is news that sensitive skin shavers need to hear. These gel lubricants are supposed to moisturize your skin for up to an hour after you shave. In addition, the guardbar and smaller space between the blades help smooth out your face This provides more protection to your skin. It also gives you a more comfortable shaving experience. The flip trimmer completes the ensemble. 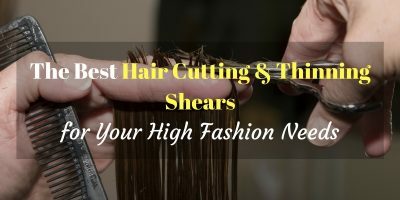 Just a flick of your thumb and you can trim those hard to reach places with ease. The handle is ergonomically designed so you have ultimate comfort as you use these razors. Convenience and safety is what Schick Hydro 5 is all about. This may be the best men's razor for sensitive skin overall. But the competition is tough, like your stubble. Gillette does for women what it has done for men. They make a great razor for those women with sensitive skin. Women like the gentle touch, the Venus provides that and more. The no slip grip provides women confidence the razor won’t cut them. It stays where the lady wants it - in their hands. The lubricating strip provides excellent moisture for the razor to slide smoothly across their skin. While the pivoting head makes it easy for women to reach those delicate, difficult areas. The shave is so smooth women do not experience any bums or ingrown hairs. No need to worry about the blades. Their edginess will last approx a month. When their usefulness is done, just toss them away. This is a razor that is gentle on a woman’s skin. Great for traveling. Just slip into your travel case and a smooth gentle shave is waiting for you at your next stop. There is no need to worry about batteries or finding an outlet. The Venus is ready to work when you are ready to shave. Schick wants to make sure its product are for sensitive skin. They send samples out to dermatologists to make tests. So far the answer is that these blades are great for sensitive skin. One of the great features of this razor is its claim to moisturize a woman’s skin for up to two hours past the shave. Its hypo-allergenic formula protects sensitive skin from any irritation shaving may bring. The blades are curved just enough to ensure a very close shave. The razor head placed on a rubber handle means this razor won’t slip. It gives you great manipulating control over the razor. Plus the ergonomic design fits your hand comfortably. The special ingredient of shea butter makes this the perfect razor for those women whose skin is extra-sensitive. The lubrication helps the 5 blades slide smoothly, gently over any woman’s skin. The chrome finish gives the razor its attractive appearance. If you want an unscented razor, this will not tickle your nose. It will not compete with any other fragrance on your body. The futuristic design has you thinking it came from a Star Trek movie set. This is a bare bones electric shaver, but it provides a very close, smooth and comfortable. The floating heads help you navigate the curves of your face. They are also designed to not snag or pull your stubble as you shave. The cordless feature allows you to shave anywhere without worry. You do not need to find an outlet, just make sure it is charged up. No fighting the cord for a comfortable position. Your hands are free to maneuver as you see fit. Being cordless does not mean this shaver does not have the power. The motor is powerful enough to shave any beard. Another great feature is that it is waterproof and is great for a wet or dry shave. Its 30-day free trial is very attractive, and its one-year warranty makes it a secure purchase. Charging time takes about 8 hours. The shaver will run for 45 minutes before needed another charge. It is so smooth you won’t realize you are shaving. 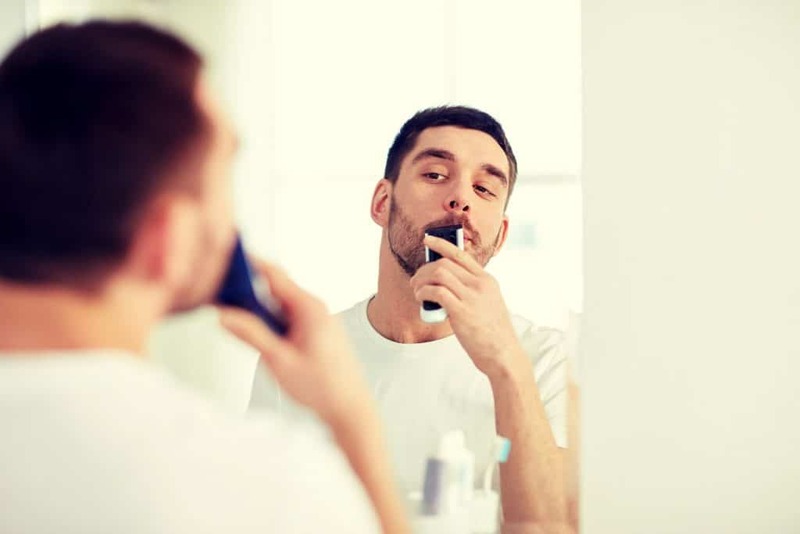 An electric razor c﻿﻿o﻿﻿mes with several benefits that make it a good choice over manual razors. They save time - but that is the way it when you go power. They provide skin protection - In contrast to manual razors, these gently slide over your face. No nicks - a big plus when you are shaving for an important meeting or romantic date. They are inexpensive - they are not a budget buster. Reduce risk of nicks - but still a slight chance of getting them. You can shave anywhere - at the office, your hotel, camping and so on. The cost - you do not want to break the bank. Accessories - the more you get the better your grooming time will be. 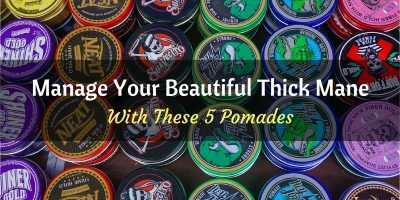 Floating or flexible heads - this are vital for a smooth, comfortable shave. Wet/dry capabilities - This depends upon your shaving preference. Cordless or cord - Charge time vs. just plug it in. You may think that there is no real strategy in buying a disposable razor but there is. Here are some things to look for when you are buying one. The manufacturer - Brand name is important in the shaving game. 2, 4 or 5 blades - the number of blades can mean the difference between a good or bad shave. Lubrication strip - how they moisturize is vital to a good shave and your comfort. Do the heads move - some like this others like the stationary heads. It is your choice. Because we are comparing apples and oranges here, it is hard to pick the best razor for sensitive skin. For men, it would be the Gillette Mach3 Men's Sensitive Razor. It just outpoints the Schick although the Schick has 5 blades. For women, the Schick Hydro Silk Sensitive Skin Razor won out. Schick just had too many great features to its product. 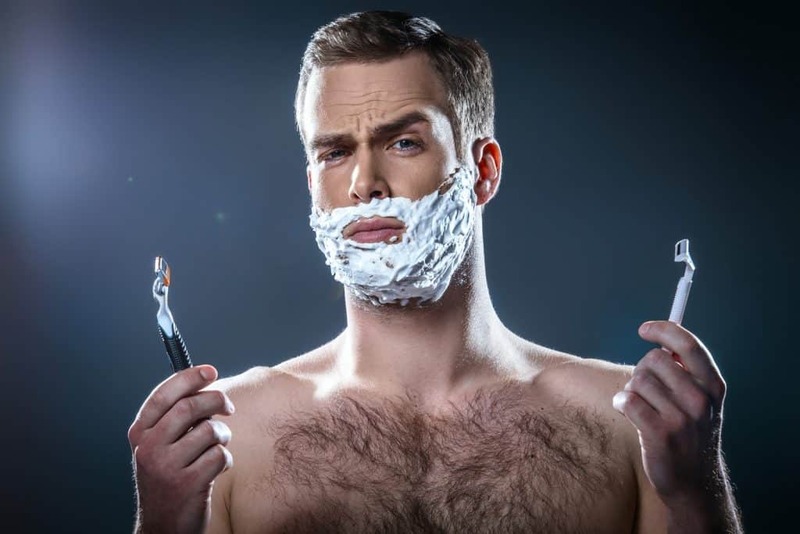 For the best men's electric razor for sensitive skin, it is a toss-up. We only highlighted one here. There are many on the market that may do your sensitive face justice. Those people with sensitive skin do not need to feel left out. 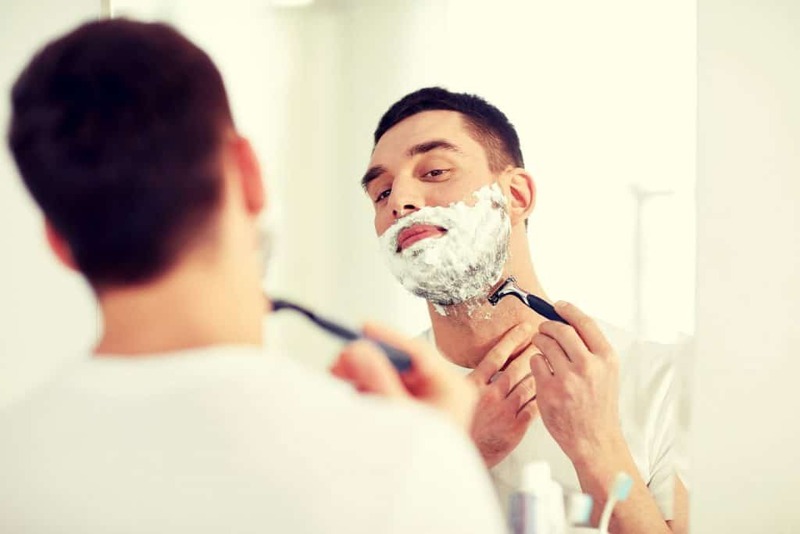 The top shaving company brands have developed great products for them. The only difficulty a person with sensitive skin will have is making their choice. We hope our review has helped your decision-making process. The key is to get a razor or shaver that will fit your face. 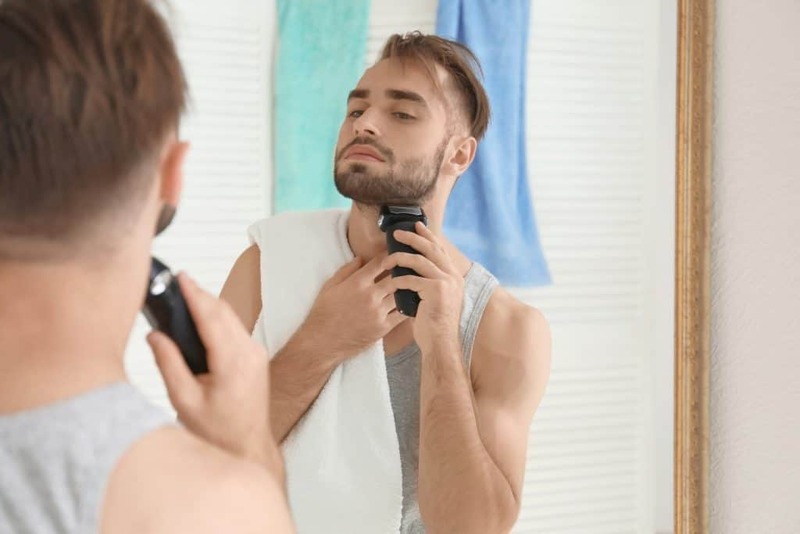 You are not doing yourself any favors by buying a razor or shaver that is designed for a different texture of skin. You owe it to yourself to treat your face with care. Another part of your decision making is if you will go with power or not. There are advantages to both sides and one doesn’t necessary outweigh the other. It will depend upon your preference and your time. If you have little time, go for the razor that meets that schedule.